Stanley McChrystal, the former four star general in charge of the war in Afghanistan, wrote a very thought provoking opinion piece in today’s Wall Street Journal. He articulately argues that all Americans, not just those in the military, should serve the nation in some capacity. 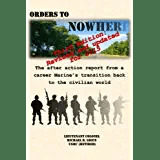 With around 1% of the population in the military (which is an all-time low during wartime), there has arguably never been a time in our history when those who actively serve and civilian populations have been further apart. McChrystal argues that national service, in which a young man or woman can make the choice in how to serve, would make the nation stronger and create a more robust and resilient citizenry. He challenges the government, the private sector, and the American people to do something to collectively better the nation. A version of this article appeared May 30, 2013, on page A15 in the U.S. edition of The Wall Street Journal, with the headline: Lincoln’s Call to Service—and Ours. This entry was posted in Military Transition, Officer, Transition Posts and tagged Employment, McChrystal, transition, Veteran, Veterans Administration. Bookmark the permalink. It is worth considering. After serving in Vietnam and upon receiving my honorable discharge from the Marine Corps in 1969, I returned to the University of Oklahoma to complete my degree in geology. I was so disgusted by the public attitude towards veterans that I considered leaving the country and going to Australia. I learned that my USMC service would not count, and that I would have to fulfill their public service requirement after a couple of years in-country. That kept me from leaving, only because I had just served the public here. Long story, but I admire those Aussies still, and think the idea has merit and deserves serious consideration. I know a few young heirs, entitled ones, who need to learn to care about others, especially the less fortunate. Great perspective. Interesting about how the Australians view public service. Thanks for the insight and for posting! The fundamental premise of the “universal service” is that people exist to serve and protect the State, and can be used as seen fit by those who control it. Should we be conscripting people into the military or community service programs of some sort? Whether the government should require “national service” is a perennial issue that has enjoyed renewed emphasis during this time of economic strife, but let’s not mince words. What is compulsory national service but a type of slavery. I wish to make two compelling arguments against “universal service”. First, it is in violation of the 13th Amendment, which bans “involuntary servitude” except for convicted criminals. Second, universal service” carries with it the abrogation of all that is free about a free society. In my experience, most people seem to enjoy freedom. Freedom’s I chose to defend. So, the freedom of Americans is a “detail” to be worked out later. In fact, this comes closer to the central issue. The correct question, is whether the parent or the state should be the overseer of the child. Do parents have a right to raise their child or does the state? In addition, parents who engage in true, i.e., voluntary, service with their children are able to benefit as a family. Parents can teach their children what it means to serve, how to serve, when to serve, and whom to serve. The state, as a form of institutionalized coercion, is hardly an example of serving others. When a child learns that service is something required, as opposed to something voluntary, it no longer becomes a charitable or kind act. Military needs aside, however, some politicians simply love the thought of mandatory service to the state. To them, the American government is America. Patriotism means working for the benefit of the state. On a crude level, the universal service appeals to patriotic fervor. This is why the idea of compulsory national service, whether in the form of military conscription or make-work programs like AmeriCorps, still sells on Capitol Hill. Conscription is wrongly associated with patriotism, when it really represents collectivism and involuntary servitude. Great observations and discussion! It is indeed a slippery slope. I see both sides of the issue: where service by all would benefit the nation but the other side of civil liberty and freedom of choice is a strong counterpoint on the other side of the coin. The original article has generated a lot of debate, which is an indicator of a great subject for discussion. To be honest, I have to respectfully disagree about mandatory service. Involuntary servitude – which is what mandatory service is – is counter to individual liberty and the 13th Amendment which reads: “Neither slavery nor involuntary servitude, except as a punishment for crime whereof the party shall have been duly convicted, shall exist within the United States, or any place subject to their jurisdiction.” Of course the courts won’t agree but the courts have also claimed that “Separate but equal” was constitutional. My point is that when the government forces service – it basically threatens an individual to serve their country or else – it de-legitimize the government especially a representative government. Great points on both counts! There are historical precedents for both sides of the debate. McChrystal is not advocating for forced or mandatory service, but instead an approach that makes such service strongly encouraged. That said, it does stir the pot of civil liberties and the freedoms that the Constitution guarantees. Very interesting debate. Thanks for posting! I think that your service is really tremendous – thank you for all that you do! Great quote, too.